This book represents, from a most unusual perspective, the greatest story ever told. Although it is a work of fiction it vividly portrays the spiritual battle that confronts us all. Throughout its fabric is woven the story of the redemption of mankind. The self-deception of Satan and his minions is portrayed in a way that can only be described as brilliant in its concept. For a person such as myself, who has been engaged for the past 40 years in the deliverance ministry, which involves a direct confrontation with demon power, the description of the spiritual battles can only be described as inspired. The book clearly outlines the work of redemption at the Cross of Jesus Christ and reaches its climax with the resurrection. It makes for fascinating reading. In this book, the author expounds the Scripture and explains with honesty and clarity how each of us can live an effective life as a Spirit-filled believer. He helps the reader to distinguish between the gifts and the fruit of the Spirit, explains how one can receive and use the gifts, and gives valuable wisdom on finding your place in the body of Christ. 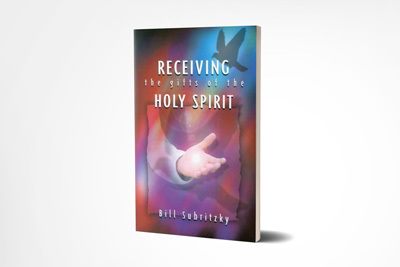 After laying the biblical foundation for the gifts of the Spirit, the author goes on to deal with each of the gifts in turn and gives straightforward, practical advice on how to use them personally, in small group settings, and in public meetings. A comprehensive teaching on discipleship and practical Christian living. 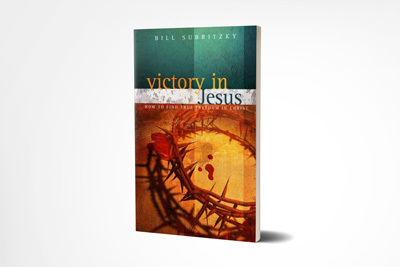 In this book, Bill Subritzky teaches on six basic doctrines essential for effective and power-filled Christianity: repentance, faith towards God, baptism, the laying on of hands, the resurrection of the dead and eternal judgment. This practical teaching is valuable to all who want to strengthen their faith and deepen their walk with God. 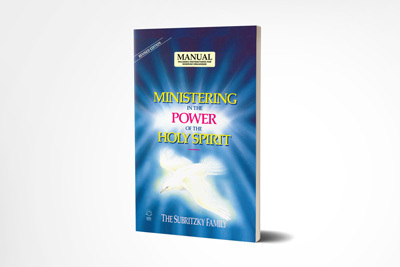 This manual will assist people to competently minister in churches, prayer groups, counselling and Christian outreaches in the areas of: Salvation, Baptism with the Holy Spirit, Gifts of the Spirit, Deliverance, Testimony, Preaching, Teaching, Prayer, Intercession and Fasting. Each session begins with a specific teaching and is then followed by practical group involvement. This course can easily be adapted for large seminars or small groups or individual study and application. This book is intended for those who wish to press into the love and power of God. In a simple yet profound way evangelist Bill Subritzky, who moves in the signs and wonders ministry, explains what he has learned from praying for tens of thousands of people for healing and deliverance. This is a vital Bible based handbook for those who are seeking a healing miracle from God. It can transform your life. The book deals with key issues including; receiving answers to our prayers; healing at the cross; knowing the anointing of the Holy Spirit; how Demons enter; requirements for deliverance; breaking curses and soul ties; overcoming rejection; praying successfully. 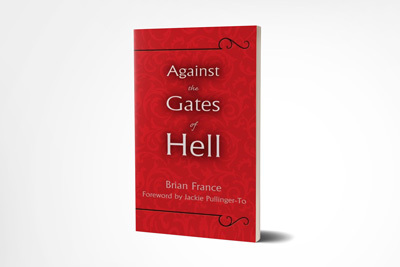 This book has been written by the author of the best selling book, “Demons Defeated”. 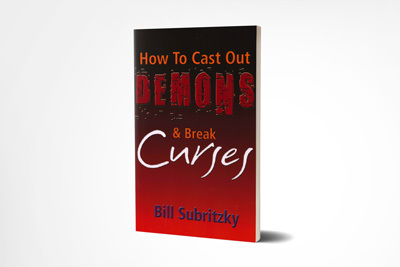 It provides easily understood instructions on how to cast out demons and break curses. It will be a useful handbook to those involved in this ministry and it also provides much understanding for those who feel oppressed or driven by the demonic. 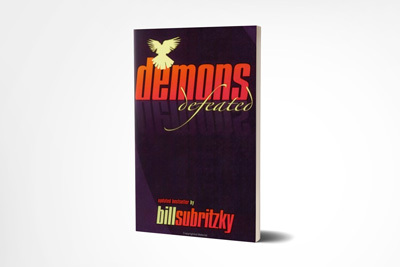 In this book, well-known evangelist Bill Subritzky describes how people can be released from demonic oppression. The author faces the question of whether a Christian can have a demon, examines various methods of deliverance, and teaches how deliverance can be maintained. He exposes the dangers of involvement with the occult, cults and non-Christian religions. The book also includes prayers for deliverance, release from curses, soul ties and Freemasonry. 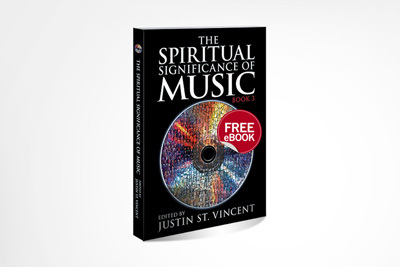 The Spiritual Significance of Music is an exciting collection of exclusive interviews with many of the world’s most visionary musicians and writers. A unique anthology that explores the dynamic relationship between Music and Spirituality, sharing incredible insights from their experience, knowledge, and wisdom. This book embraces the beauty and diversity of Music, providing readers with a tapestry of new thoughts on Music and Spirituality. Justin St. Vincent has interviewed more than one thousand people, choosing over one hundred responses, to produce a cutting-edge and ground-breaking project for our music-minded generation. The Spiritual Significance of Music: Book 2 continues the powerful journey of exploring Music and Spirituality through the hearts and minds of musicians and writers around the world. This second edition contains deeply insightful interviews that aim to enhance our heart-felt appreciation for Music. A celebrated book series that is adored by music-lovers and music-makers of all cultural and faith-based backgrounds. 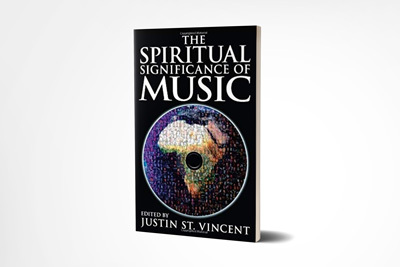 Justin St. Vincent’s new book is designed to amplify our love for music, and illuminate its spiritual importance in daily life. The perfect companion for people passionate about Music. 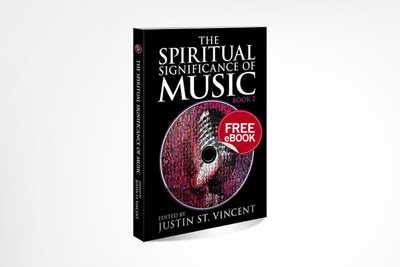 The Spiritual Significance of Music: Book 3 develops a deeper intimacy with faith-filled insights into Music and Spirituality. 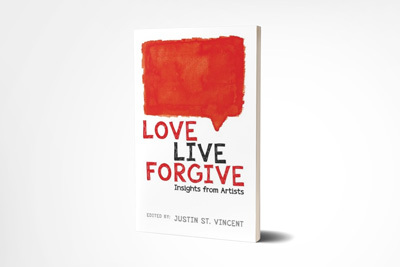 contributors from all over the world have searched within their soul for the answers now available in this third volume of Justin St. Vincent’s popular book series. Musicians and writers unite in this inspirational anthology that has positively impacted the music and lives of many music-makers and music-lovers around the globe. This critically-acclaimed book series has forever changed the way we experience Music and embrace Spirituality throughout the world today.